Your available press release distribution options have changed over the last few years. There is no need to stay with a single high priced press release service and an exclusive contract. The world of distribution is simply too big for that. Our clients think in terms of footprints of distribution because no one service will get you in front of everyone you need to reach. Watch your releases or editorial content get picked up by Google News, Bing News, EIN Newsdesk, EIN Presswire partner sites, and WordPress publishers. We also distribute into Acquire Media, Financial Content, and into social media. That's not all. 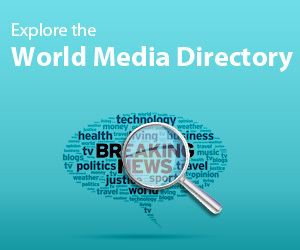 We own and maintain one of the world's leading media directories, World Media Directory, which is constantly updated with editorial contacts and journalists, and have a portfolio of "Microwires" that provide targeted reach and SEO benefits. Give us a try. We are defining the "new" normal. Special offer for only $399 - that's less than $35 each - you'll have 12 feature rich press releases to distribute through EIN Presswire. Use them anytime during 12 months. Reach out to EIN News members and beyond with feature rich options and targeting. It's not just about press release distribution, it's about effectiveness. We are both a destination (EIN Newsdesk) and a distributor (EIN Presswire) for news. In one place you can distribute your news to the targeted audiences you select and monitor news on that topic published by thousands of worldwide sources. Monitor your company, industry, even your competition, and place your news into the live world of news cycles – all in one place. Journalists and key decision-makers use EIN Newsdesk to streamline their news gathering and research. Our users include the world's leading media, businesses, institutions, and individuals. EIN Newsdesk users get access to our Internet-leading archive of more than 200 million articles, easily accessible through EIN's proprietary Power Search tool, a valuable asset used by journalists and researchers worldwide. With EIN Presswire you will reach decision makers, achieve high search engine visibility, get feature rich options such as iframe, anchor text, embedded video among other benefits without a long term fixed contract. Just pay as you go or opt-in to plans such as our PRO+ bundle (10 releases for only $399 and get access for one year to EIN Newsdesk for free). With pricing as low as $40 per release you will find that EIN Presswire fits into most budgets as part of a portfolio of marketing communication tools. Still have questions? Call +1 (202) 335-6655 or reach us by email. I've used other services and I'm impressed with the where my releases sent through EIN end up online. I don't see the same amount of distribution from the larger services that cost considerably more to use. In my opinion, following the review of the strategic positioning of the EIN, I find EIN to be better than its competitors and my institution chose it over many others. Due to the strategic audiences it has, ranging from marketers, bankers, politicians, cooperate executives, agriculture executives and consumers to social workers, civil society and human rights executives. Additionally, EIN in my minds has what it takes to market its clients effectively over s short period of time with just little cost. EIN has the ability to raise the profile of its clients not just internationally but also domestically because of its direct link to the influential personalities and communities within country and globally. The EIN Presswire service offers cost saving measures for quality public relations for individuals, businesses, governments and organizations through the different promotional public relations programs while ensuring adherence to standards and qualities. Key benefit for using EIN Presswire is your reputation. If you want to start building online awareness and target a specific audience, look at EIN Presswire. They provide a professional, cost-effective service that is easy for anyone to understand and use immediately.